The fundamental root of the problem in current resource land use development is Federal management. The incredibly large mass of land the Feds are attempting to manage, under one set of rules, is an abysmal failure for the resource, the environment, the resource user and the tax payer. This will always be, due to the sheer size and complexity of the lands being mismanaged and the perennial propensity for the Fed agencies to grow and be increasingly controlled by absentee upper management. The western land use events of the last few years seem to have been analyzed, pondered, condemned, praised and generally discussed into a state of confusion and stalemate. For forty or so years I have been active in the advocacy for economic natural resource development, mining, timber, grazing and water. In these last few years since the Hage case, came the Bullock/Griffen land grab, the Federal intrusion at Bunkerville , the James Redd San Juan County Utah overreaction, the Pautre Fire in South Dakota and most recently the Hammond Family miscarriage of justice and Malheur Refuge and Standing Rock pipeline standoffs. A myriad of new groups have recognized the abuses and failures of the Federal management of our resource lands. Despite all good intentions, no focused unified direction has been established by those affected by federal abuse and mismanagement. Individual states such as Utah and Nevada have made the case internally for legislative changes demanding transfer of most federally-managed lands to the state. Most other non-legislative efforts have focused on raising monies to support individuals’ efforts to litigate abuses to their private and divided lands use rights. An example is the well organized and well-intentioned but politically entrenched Cattlemen’s Associations. It seems three things are missing in the efforts to eliminate bureaucratic resource abuse: (1) education on existing rights of resource users; (2) taking on the root of the problem rather than fighting the after effects of current management abuse; (3) selfless unified action. A good example of the failure to understand and unify behind a single issue would be the yearly decreases in grazing allotment numbers and size across the West. It is estimated in the last 20 years AUMs have been reduced across the West by about 40%. In order to survive a rancher with grazing allotment(s) will either have to decease his herd size or increase their cost of feeding cows by 40%. How many small business could survive that kind of readjustment in their business plan? It seems to me that the common sense solution to this would be that the thousands of victim ranchers across the West would unify behind the Constitutional dictate that no property can be taken without due process and just compensation. To simply accept the Federal premise that an allotment is not real property is simply to lay down your rights to generations of held property. A grazing permit is simply a piece of paper but the allotment is and always has been real property that is bought and sold as a large component of the value of the appurtenant fee ground. I contend that if thousands of allotment owners across the West stood up in unison and said no, you can’t decrease the value of my allotment without due process and compensation, then the policy of annual changes to allotments would be over. The same concept of user unification can be applied to water usage, timber harvest reductions, recreational access and other resource take issues that face users today. The fundamental root of the problem in current resource land use development is Federal management. The incredibly large mass of land the Feds are attempting to manage, under one set of rules, is an abysmal failure for the resource, the environment, the resource user and the tax payer. This will always be, due to the sheer size and complexity of the lands being mismanaged and the perennial propensity for the Fed agencies to grow and be increasingly controlled by absentee upper management. Classic examples of that growth and absentee control is the transfer of tax dollars from resource production to fire “management” and the onset of traveling teams of fire “incident managers”. Fire ‘management’ or mismanagement is now a huge tax payer funded business in the West, while the resource production business wanes into obscurity in many regions. Fire is now the Forest Service and BLM’s largest segment of their budget. Distributing these lands to state and county management would attack the root of the mismanagement we are currently experiencing. This would increase efficiency, decrease cost to tax payers, (see PERC report of 2015, Divided Lands), increase response time to resource and environmental threats and establish local jurisdictions. Local jurisdictions could knowledgably respond to specific resource abuses and damage through local oversight, enforcement and where necessary prosecution by the violators’ peers. We in Harney County, Oregon went through a community hell this last winter. It became clear that what was necessary and best for the economic wellbeing of our, and other similar communities, was unification of the resource users and the communities dependent upon the revenues generated by the resources. We set about to bring people together through education about our existing rights both regarding land use and the proper function of a tiered government, as was structured under the US Constitution and prior and subsequent legislated acts. As we set about this task of bringing people together to relate their experiences and learn more about their rights we ran smack dab into the specter of intimidation at all levels. We would talk to ranchers and loggers who hated the management of the Feds on their allotments, timber sales and private lands. However, it was rare to find one that would defy the fear of retribution against them and their operations by the agencies for speaking up. Commonly their ranches are dependent upon grazing allotments, government land leases, and access to water. Most of the loggers are heavily dependent upon Federal timber sales for their livelihoods. Without these federally-controlled resources their operations become uneconomic. As a result, the resource users were immediately fragmented into at least two groups, those who would stand up and speak up and those who would not for fear of retribution. In the Federal workplace they passed laws called “whistleblower” laws. No such protection is afforded those private sector operators who know of or operate under abusive or corrupt conditions in their dealing with federally-managed resources. No one individual can afford the cost in dollars, time and energy to take on the policies of the Federal government. Thus our dedicated group in Harney County, Oregon was nearly thwarted in our local efforts to help through education and unification. At that time of realization we began to see opportunities to join with others across the West whose realization was the same as ours. In order to educate we helped form a broad spectrum group called the Range Rights and Resource Symposium (3RS). Out of this, we became loosely affiliated with Protect the Harvest and a new offshoot organization in the 11 western states named the Range Allotment Owners Association and a local land use group called Rural Advocacy Watch (RAW). 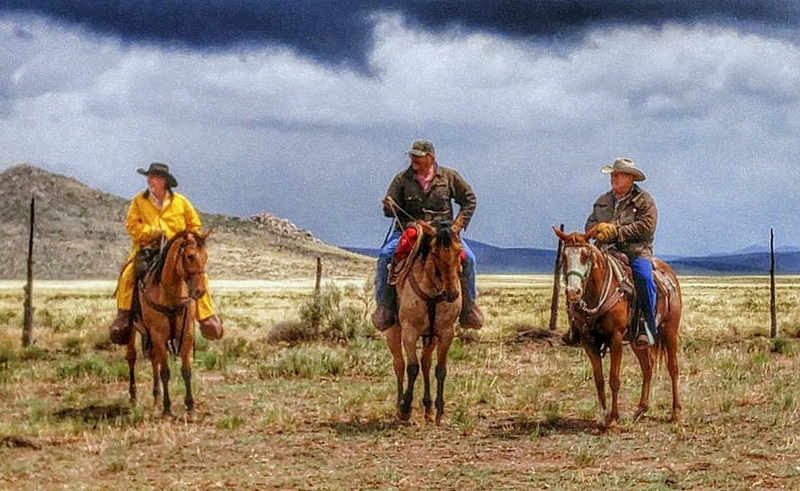 The goal and mandate of this work was to work with and supplement the older and more established land rights and agricultural support groups such as the Cattlemen’s Associations, American Land Rights Association, American Lands Council, associated rural counties and state legislatures etc. We continue the process today. We recognized that unity cannot be accomplished if there are turf wars and fragmented competition for funding for individual legal cases. The attack must be unified and directed at the larger issues of bad policy, unconstitutional regulation and Federal jurisdiction and management of resource lands. We saw that unending legal battles between individuals and the Feds can go on for decades and will eventually break even the hardiest of souls. There is no end to the money and time the Feds can throw at a victim of their overreach. The bottom line is that we believe that a sustained two pronged approach has to move forward: 1) educate individuals on their existing land and resource use rights so they may be sufficiently confident in their position tim-smith-1to unify with others and take on errant policy in force; and 2) educate resource users and their support communities that transfer of “public” land management to States and Counties is both doable and beneficial for all concerned. When watersheds and rangeland cross state borders the Feds will have to manage them unless states can agree on comprehensive management plans. Chesapeake Bay is a good example of states binding together to manage a resource. Have you tried this approach. Really great article! My husband and I are ranchers and agree with this article. Our biggest challenge on our BLM allotments are the mismanaged feral horses. The horses our so far over AML that any of our efforts to manage or conservation is to no avail. We have lidagation with 13 other ranchers to hopefully get us some relief from the horses devastating our allotments. (Which as stated in this article is detaining our resources) Our allotments have been cut over 50 percent which has been very difficult on our bottom line not to mention our family heritage. Thank you and I am in great hopes that your idea’s in these issues will come to pass! I appreciate you useing my photo in your article because I assure you these cowboys have integrity, honestly and great work ethic that is needed to overcome these challenges! My only concern with state management of federal lands is the possible selling of these lands. If a person in authority is offered enough money to sell this land to the highest bidder, there goes the public land use. Case in point–the selling of a large parcel of land in Idaho to a couple of brothers in Texas who have now shut down access to local users. First, the water look at the Northwest Treaty, of 1980. The water is State laws not the federal government. Second, 1.7 million acres was the legal acreage the BLM managed under FLPMA. Third. Bruce Babbitt knew Congress would never change the laws that BLM was required to enforce.